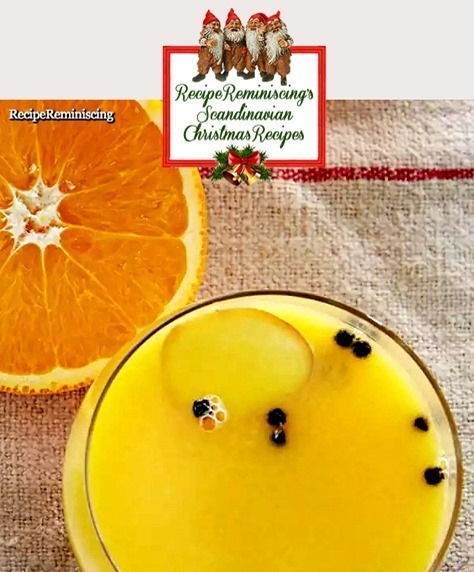 Oranges and ginger tastes of winter and Christmas. The apple juice from Hardanger is looked upon as almost as nobel as wine in Norway, and it makes a marvelous Christmas gløgg. When autumn starts to get cold, it is great to enjoy a warm and delicious milk drink. No matter if it is at home in front of the fireplace or on a chilly hike. Hot milk drinks warm both inside and out. Hot cocoa, chai tea, chocolate milk with coriander or mint. There are countless variations you can make and it’s just your imagination that sets the limits. 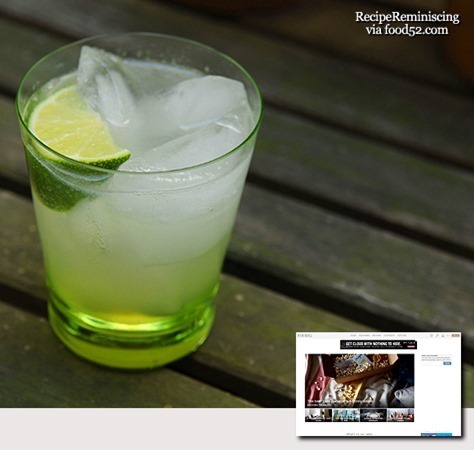 Tart and refreshing, this limeade is a perfect drink for getting into the spirit of spring. The mint syrup is intensely flavored, so you don’t need much, it makes for an invigorating (and highly quaffable) drink. If you’ve got a sweet tooth, just add a little more of the mint syrup. Simple and lovely in its pure form, this recipe would make a great jumping off point for all sorts of riffs. If you’re so inclined, try adding a splash of vodka, or even light rum. 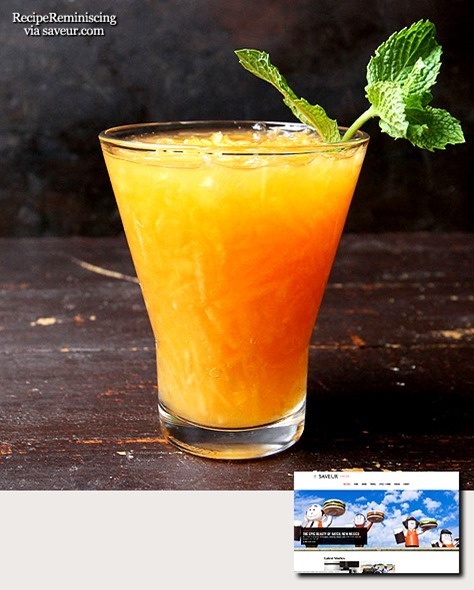 Saveur’s test kitchen director Farideh Sadeghin got the recipe for this refreshing melon drink from her Iranian-born father, who makes it by grating fresh cantaloupe and combining it with water, sugar, and fresh mint. You can add a little gin for a cooling summer cocktail. first introduced in Germany in 1973. 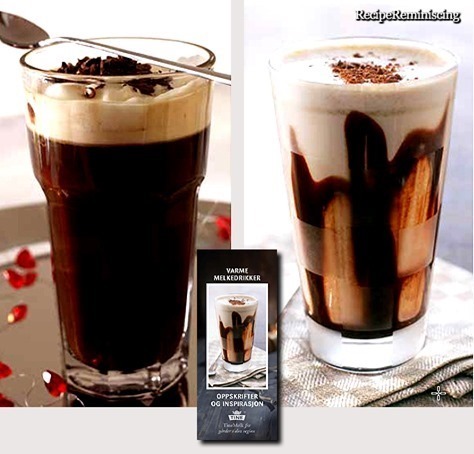 Mezzo Mix is sold and produced only officially in Germany, Switzerland and Austria. Its slogan, translated into English, is “Cola Kisses Orange”. It is basically standard Coca-Cola with a light orange flavor, much like a Spezi, which is usually Coke mixed with orange Fanta. In Spain it is called Fanta Mezzo Mix Naranja & Cola. In Sweden it is called Fanta Mezzo and was released in late January 2017 as a limited edition, connected to the music event called Melodifestivalen (Swedish qualifications to Eurovision Song Contest). Mezzo Mix was previously one of eight international soda flavors featured and available for tasting at Club Cool in Epcot. 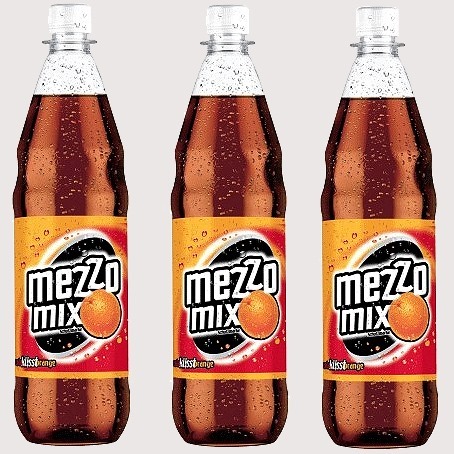 There were two kinds of Mezzo Mix in the 1990s: orange and lemon. The latter was unpopular and was discontinued, but a lemon flavored Coke entered the market again in 2003. 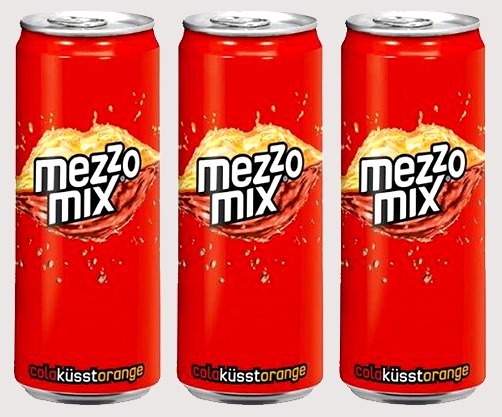 In July 2007, Mezzo Mix Zero was introduced in Germany as a low-calorie variant. Early 2013 around Valentine’s Day, ‘berry love’ was introduced in Germany. Instead of an orange-like flavour it tastes somewhat like raspberry mixed with coke. It’s a limited edition, being available only in February. 2011: You Gotta Start Somewhere, Right? 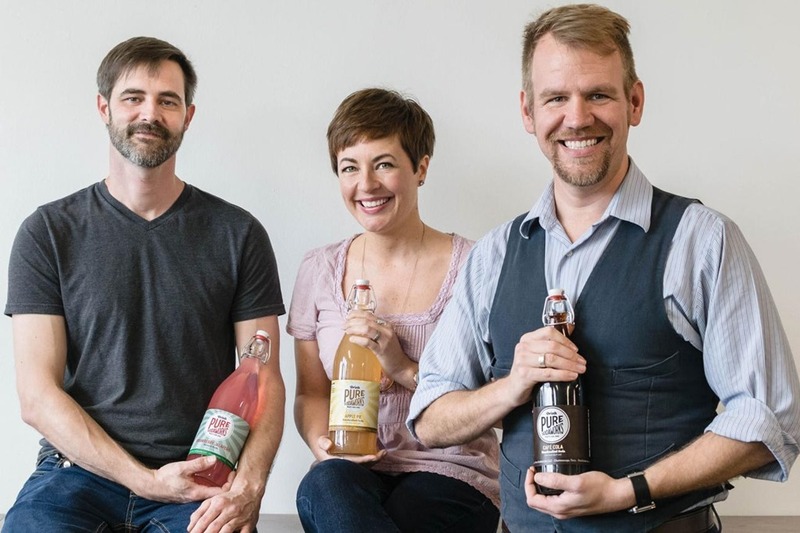 In March of 2011, Matt and Tiffany Rogers had an idea to launch a soda brand. Of course, they didn’t know exactly what they were doing or how to accomplish that goal. Undaunted, they brought on their friend, Shawn Clouse, and put together a mobile soda fountain so that they could start selling sodas at local events in and around Chattanooga, Tennessee. 2012 – 2013: Kickstarter, The Makery, and Bottling. Oh my! The response to our soda idea was overwhelmingly positive to say the least. As our fanbase grew, so did our desire to create a product that people could take home and share with friends and family. We decided to turn to Kickstarter (a relatively new crowd-funding platform at the time) to assist with raising the necessary funds to outfit a facility and purchase bottling equipment. 2014 – 2015: Today, Chattanooga. Tomorrow … THE WORLD! Or so we thought. After spending two years on Chattanooga’s North Shore, we decided to make a move across town and focus on growth and distribution. Over the course of the next three years, we saw our sodas go all over the United States. At the same time, we were winning awards and getting recognition from some big names. 2016: It’s a Major Award … and a Major Change. 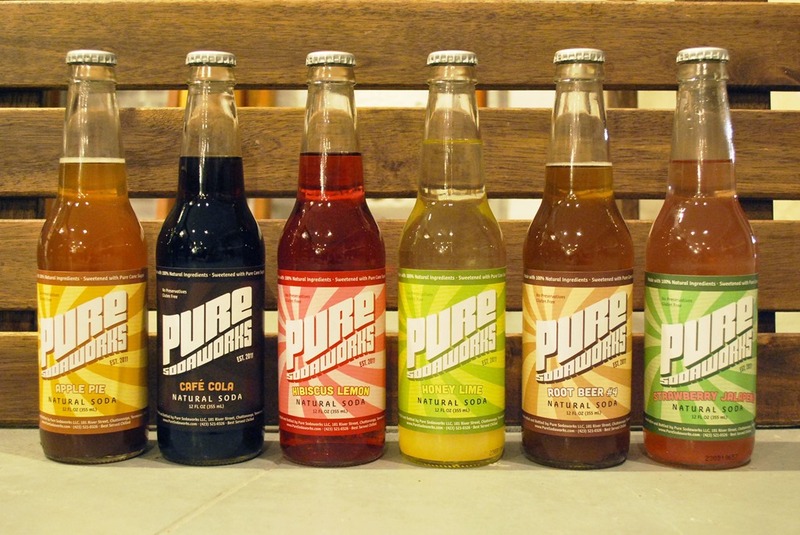 Throughout the first half of 2016, we continued promoting the Pure Sodaworks brand and our sodas, reaching as far and wide as we could. 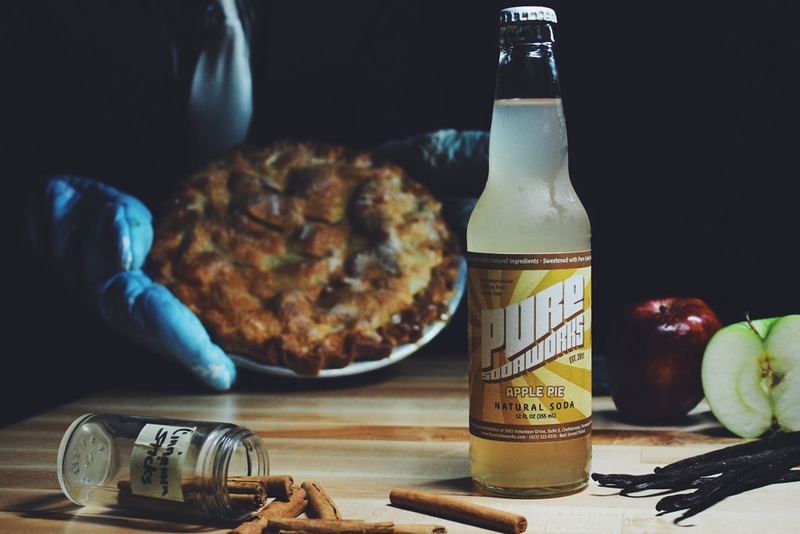 This culminated when we swept the awards at the 2016 Homer Soda Fest, winning both Best in Show and Best of Fest with our Apple Pie Soda… what a thrill! Needless to say, our team was riding high and feeling great about our future at that point. However, the latter half of 2016 arrived with some major, unforeseen setbacks. First, our local supplier for glass moved away from our city. That change greatly impacted the minimum amount that we were required to purchase in order to make shipping costs worthwhile. Second, our bottling machine, which was actually built to bottle beer rather than soda (which, unfortunately for us in this case, has a much higher carbonation level than beer) started showing just how poorly suited it was for soda manufacturing. We knew right then that our current method of production was no longer sustainable. That humbling one-two punch prompted us to take a step back and re-evaluate our product, our production methods, our costs, our pricing, our growth, our reach… basically every single aspect of the business. What we determined was that we needed to make some major changes in order to continue providing quality sodas to our loyal, ever-encouraging, soda-loving fans. It was time for a reboot. 2017: Learning Lessons. Looking Ahead. Moving Forward. After 2016, we knew that we needed to change things in order to maintain the high quality of our product. At the beginning of 2017, we went through and addressed three main areas in order to improve both our product and our business. That’s the story so far. We hope that you will come along for the ride as we continue on our soda-making journey. Be sure to follow us on social media and visit our site regularly for news and updates. We feel more confident than ever that, with the ongoing encouragement from our devoted fans, we will continue making Mighty Good Soda for years to come! Royal Tru is a carbonated fruit drink brand owned by The Coca-Cola Company that is only available in the Philippines. It also uses the same styling as its Coca-Cola global cousin Fanta. 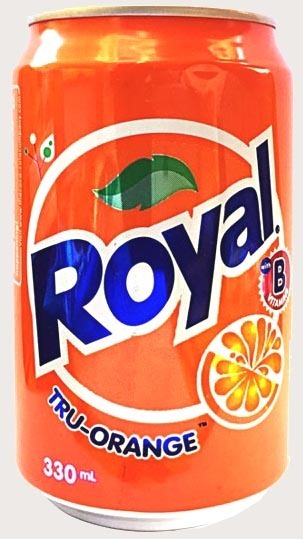 It was introduced in 1922 by the San Miguel Brewery as their first non-alcoholic, carbonated beverage and it was primarily referred to as Royal Tru-Orange due to its original flavour, while other variants like Royal Tru-Dalandan, Royal Tru-Grape, and Royal Tru-Orange Light were introduced in 2003, and Royal Tru-Lemon was introduced in the last quarter of 2012. 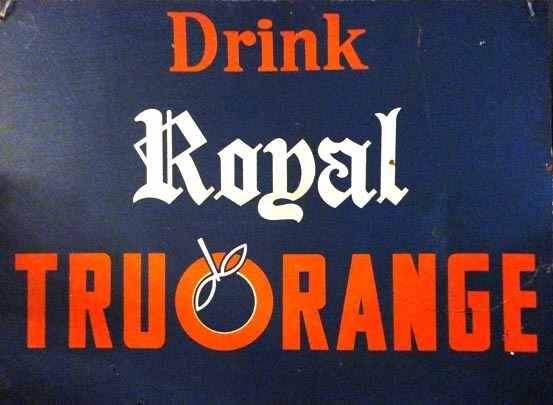 Royal Tru-Orange was first introduced in the 1922 by the San Miguel Brewery as their first non-alcoholic, carbonated beverage. However, it became popular since the beverage targeted teenagers as its consumers. It was available in single-serve bottles and contained orange pulp bits. Royal Tru-Orange was also one of the pioneering teams of Philippine Basketball Association in 1975. It is the only remaining pioneering franchise in the league, although it is carrying the San Miguel Beer brand as of 2008. 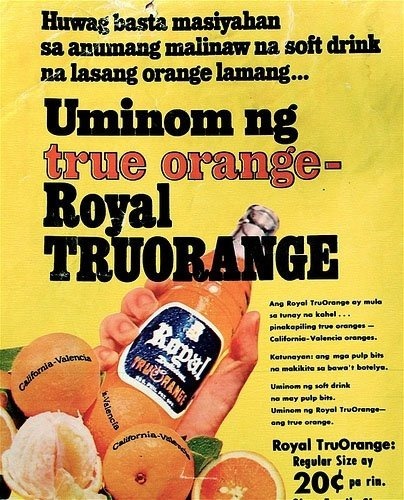 Royal Tru-Orange gained much attention in the late 1980s, after its logo and formulation (without the orange pulp bits) were changed, through an advertising campaign that starred teen model RJ Ledesma playing the role of Joey. The first television advertisement in the series, wherein Joey was being egged on by friends to introduce himself to a girl named Jenny, was directed by noted film director Lino Brocka. 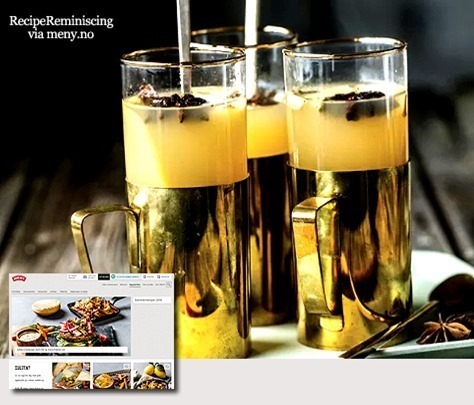 Autumn is just around the corner here Norway now, so the evenings are not that hot anymore so this simple recipe for a tasty apple toddy can be a good idea. 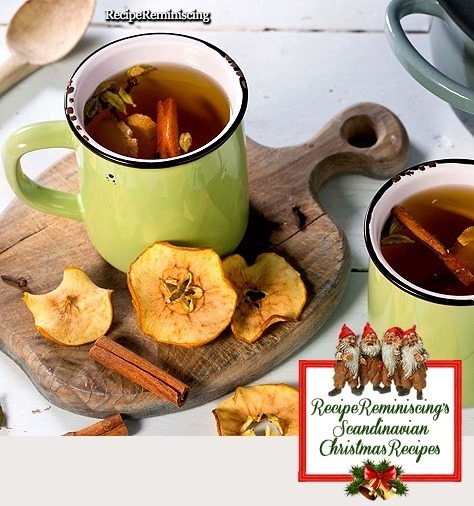 If you love apple and ginger, this hot drink is just the thing for you. Soda & Soft Drink Saturday – Kuat! 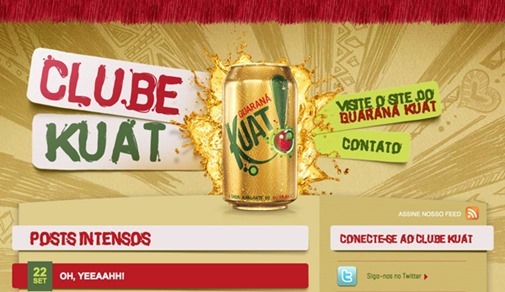 Named after a sun god for an Amazon Indian tribe in Brazil, Kuat (pronounced “Kwatch”) is a lightly carbonated guarana flavored soda from Coca Cola. 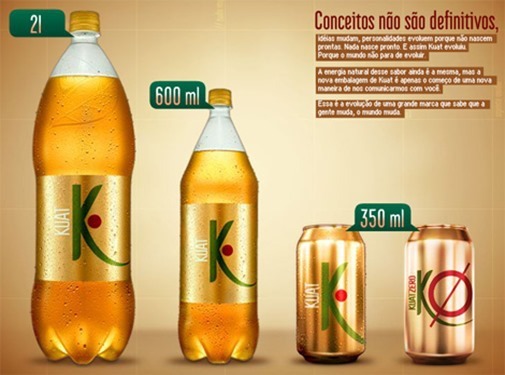 This product has been very popular in Brazil and now Coca Cola thinks they can bring it to the states and capitalize on the fact that guarana has become more popular since the energy drink craze. As for the taste, it’s interesting and as far as Coke products go, it’s not bad. It has a light flavor that tastes like your basic bubble gum soda flavor, but with a mild berry like finish. Overall, it’s mildly palatable, but needs some serious work to be a true quality beverage. 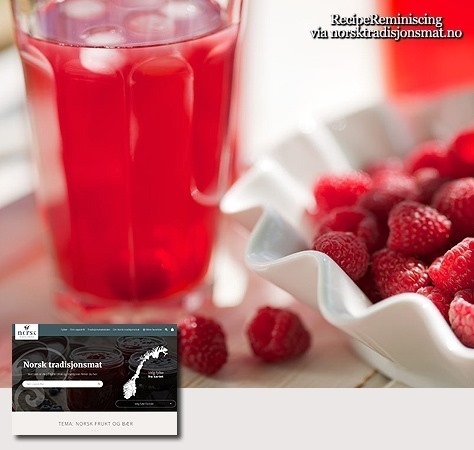 Urge is a citrus flavoured soft drink produced by Coca Cola Norway. It is the Norwegian equivalent of Surge. It was originally introduced in Norway in 1996 as a test product. 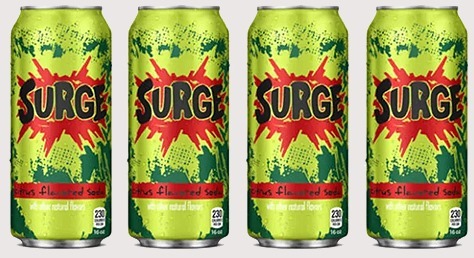 Surge was launched in the United States in 1997. Surge and Urge are no longer sold anywhere else, but after a steady decline, Urge sales increased greatly in Norway, reaching a market share near 10%, despite receiving no marketing since its initial launch. Urge was originally available in Norway in 0.5L and 1.5L bottles, and later also in 0.33L cans, but in the beginning of 1999 the 1.5L bottles were taken off the market, due to unsatisfactory sales. 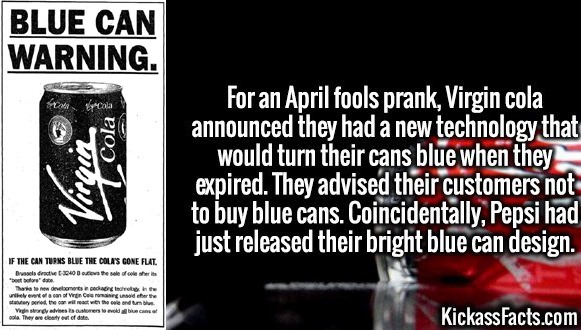 The cans also silently vanished from the market a few years later, leaving only the 0.5L bottles. It has a high sugar content at 68 grams per 0.5L bottle. 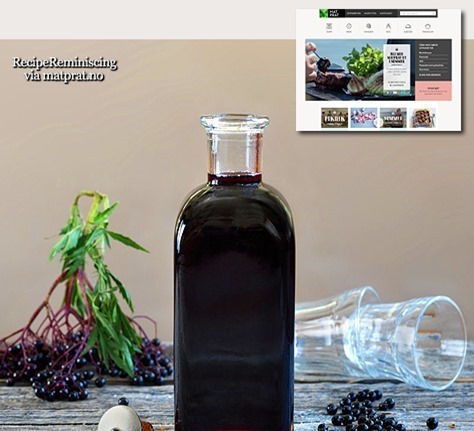 Urge 1.5L bottles was re-launched to the Norwegian market on September 1 2008. The re-launch is credited to a massive campaign by the consumers on the internet community Facebook. 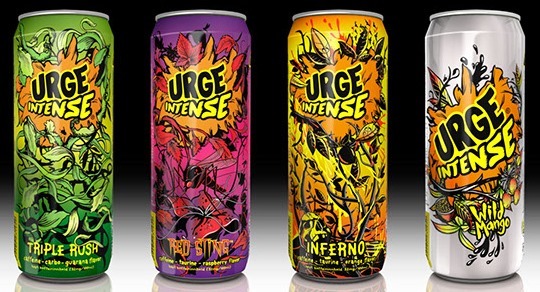 An energy drink version, Urge Intense, was launched in the beginning of 2009. A raspberry flavoured version (“Red Sting”) was released in April 2010. Sales in Denmark and Sweden ceased in 2001. 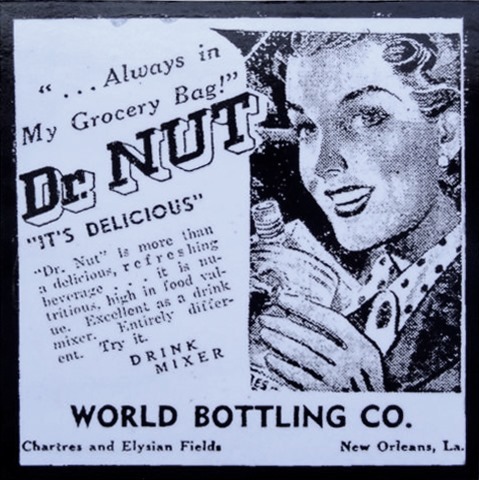 Dr. Nut was a soft drink produced by New Orleans-based World Bottling Company (and later by another New Orleans company, Wright Root Beer). It was introduced in the 1930s and was produced until the late 1970s. 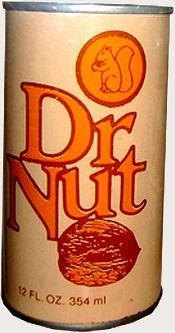 Dr. Nut had a distinct almond flavor, similar to Amaretto liquor, and bottles were characterized by their plain logo depicting a squirrel nibbling on a large nut. 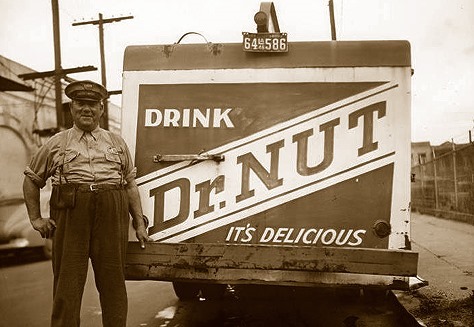 In the 1940s it was marketed at a competitive price, was known for its slogans, and for having a man in a running costume who ran with the Mardi Gras parades. The drink was made famous to a new generation in John Kennedy Toole’s novel A Confederacy of Dunces, in which it is a favorite drink of the main character Ignatius Reilly. His copious consumption of the drink is a comic example of the discrepancies between Ignatius’ purportedly ascetic medieval values and his undisciplined, gluttonous lifestyle. By the time the novel saw print, the beverage was already out of production. A different company attempted to revive the product, but the taste of the new drink lacked the almond flavor of the original and was not well-liked by consumers. 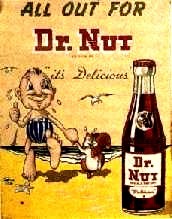 Dr. Nut advertising used to feature a man on the beach, wearing half a nutshell as a bathing suit, and a squirrel as his friend. Many people dressed as this amusing figure during the New Orleans’ Mardi Gras parades. Virgin Cola is a carbonated cola soft drink produced by Silver Spring and part of the Virgin Group. It was launched in 1994. Virgin Cola was set up during the early 1990s in conjunction with Cott, a Canadian company that specialises in bottling own-label drinks. Cott was looking for a major international brand that could have global appeal. Virgin founder, Richard Branson was looking to widen the Virgin name and to rival Coca-Cola and Pepsi brands. 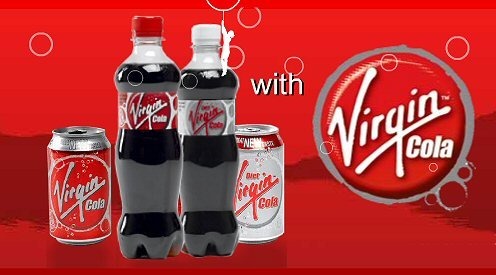 Virgin Cola began to hit international shores within its first year. The UK first served the drink on Virgin Atlantic flights, on-board shops on Virgin Trains and also at Virgin Cinemas. The Gulliver’s Kingdom chain of theme parks in the UK also sold post mix Virgin cola. 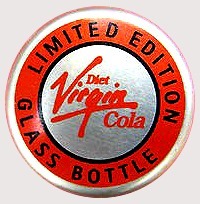 This led Virgin Cola to agree a distribution deal with British supermarket retailer Tesco in 1994. From 1996, the 500 ml bottles were marketed as “The Pammy”, as their curves were designed to resemble Pamela Anderson who was at the height of her popularity in the UK at the time. It went on to be launched in France, Belgium and South Africa. In 1998, Branson himself attended the USA launch of Virgin Cola, driving a tank into New York City’s Times Square as part of the launch. It subsequently agreed distribution channels with US retailers such as Target. 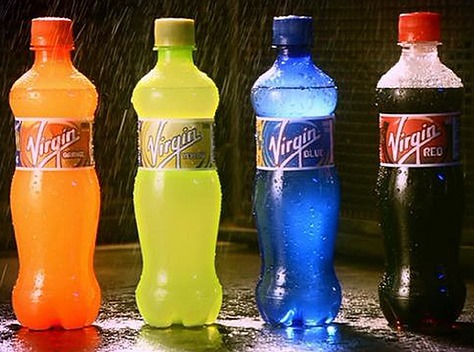 Virgin Drinks USA, the company dealing in Virgin Cola’s US market closed in April 2001, having managed to establish just a 0.5% share of the market by volume. In 1999 a bottle of Virgin Cola can be seen on the coffee table in Monica and Rachel’s apartment during the February 4th US airing of the Friends episode entitled “The one with Joey’s bag”. Richard Branson had previously appeared in an episode and was said to be a fan of the show. In 2002, a vanilla cola called Virgin Vanilla was launched in the UK, ahead of the launch of a similar product from rival Coca-Cola. In 2004, it was announced that Virgin Vanilla would be discontinued in order to focus on the teenage market. In 2007, Silver Spring acquired the UK licence from Princes limited. However, in 2012 the company fell into administration and ceased production. No company acquired the UK Virgin Cola licence in its place. Today, despite the collapse of Virgin Cola in the United Kingdom, Virgin Cola is still sold in Afghanistan, Bangladesh, France, Italy, Japan, Kosovo, Malta, Nigeria, China, Switzerland, Tunisia, and Philippines. Virgin Drinks has since fallen, but bottling companies in these countries have acquired the licence.